Synth-pop legend Gary Numan has been trailblazing since the late '70s, and he's still going strong. With a new album called Splinter due out in the UK on October 14, Numan will spend the late summer and fall touring in North America. The outing will begin with a West Coast leg in late August and early September. This jaunt includes a Canadian stop at Vancouver's Fortune Sound Club on August 30. He'll also be hitting up Bumbershoot in Seattle. In late October, Numan will resume touring in the eastern part of the U.S., where he will open for Nine Inch Nails at a pair of Florida shows. See the full schedule below. As for Splinter, a press release describes it like this: "Splinter sounds like no-one else while utilizing new sounds and ideas. Perhaps it's the voice — one of the most distinctive in rock music and often associated with machines and icy alienation, but for those who are drawn to Numan's songs, his singing is strangely emotional, almost soulful in places. 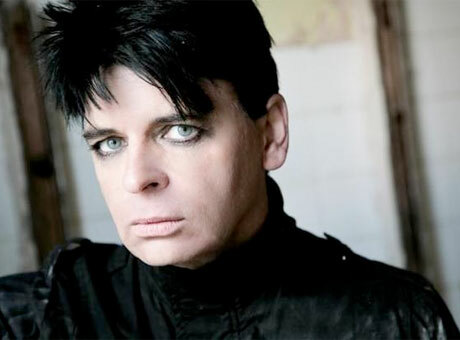 And if you like that side of his writing, you certainly won't be disappointed with the new album where there are four or five tracks that set Numan's vocals against moody atmospheric slow-burners to stunning effect." The album was produced by returning collaborator Ade Fenton and features guitarist Robin Finck (Nine Inch Nails, Guns N' Roses).